A day after a local lawyer filed a case against Haryana Bharatiya Janata Party leader O P Dhankhar for his alleged remarks ‘Bihari bride for Haryana boys’, another case was lodged in Patna on Tuesday a police official said. The case was lodged by a Bihar's ruling Janata Dal-United Member of Legislative Assembly Manjit Kumar Singh at the Sachivalya police station under Sections 304 and 509 of the Indian Penal Code. Earlier a case was filed against Dhankhar in a CJM court in Muzaffarpur district under Sections 499, 500, 504,507 and 509 of by a local lawyer, Prem Kumar Paswan. 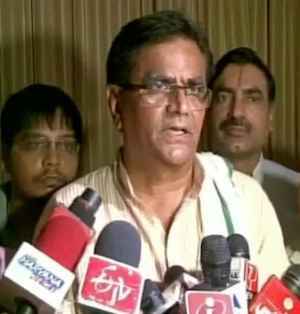 Dhankhar, who is the president of the BJP Kisan Morcha (farmers’ cell), had on Saturday made the remark while addressing a party meeting in Haryana. He had said that if his party was voted to power in the state polls, it would get girls from Bihar to ensure men in Haryana get married. men according to 2011 census. Wore a skirt or bikini on Goa's beaches? Send us your pics!